Five years after the death of his wife, MacAoidh Armstrong moves into a smallholding in southern Scotland with the intention of living a self-sufficient existence. Although he’s heard the steading has a reputation for being haunted, the pragmatic Highlander does not believe in ghosts. On a hill by the steading stands the Ghost Tree: all that remains of the former Ringcroft of Stocking. Local legend says, when the last of the Ghost Trees dies, the Rerrick Parish Poltergeist will return. 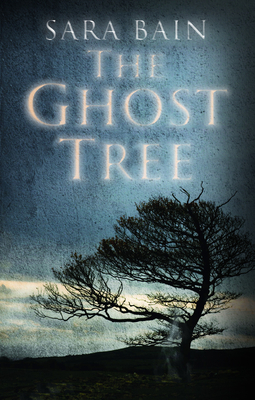 The Ghost Tree is dying and, just days after MacAoidh moves in, he is forced to contend with a number of strange and terrifying events that put his very life at risk. This series of bizarre and increasingly threatening occurrences at The Ring defy all logical and scientific explanation, and compel MacAoidh to face phenomena that will make him question his very beliefs. Sara Bain is a former newspaper journalist and textbook editor. She is the author of the successfully self-published novel The Sleeping Warrior.